Nini Wagner is our Student-Athlete of the Week! 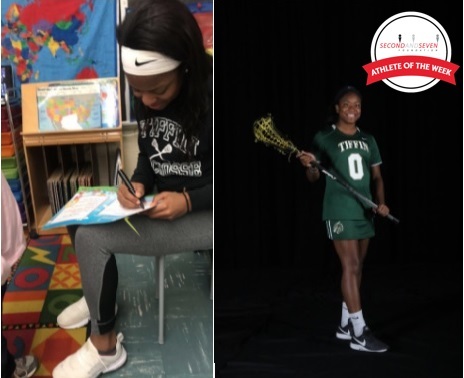 Nini is a junior at Tiffin University and plays on the Women's Lacrosse team. We love Nini's enthusiasm for visiting young readers during her two years of involvement with The 2nd & 7 Foundation's outreach. Her favorite moments involve, "being able to interact with the kids and seeing how excited they are when they get to keep the books. It is great to hear them talk about how they're going to go home and read to their families!" Thank you, Nini, for making a difference in your community!